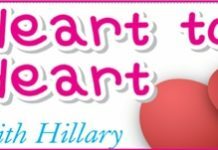 Home Blogs Heart to Heart with Hillary Expensive shopping? My wife has started overspending on the grocery bills which I pay for. I am sure she has started to sneak the odd thousand baht from my billfold when I am asleep. She doesn’t seem to be wearing as much jewelry as she did before, and when I have asked her where her necklace is she gets very defensive and says she is having it cleaned. I don’t think she is not having an affair, as she is always home at nights with me, so what can I do to check? Where is the money going? Do you think it might be gambling? On the surface of it, I would suggest you start keeping accurate records. Know how much money is in your pants pocket when you go to bed. Find the receipts from the supermarket (though if she shops at the market there’s no receipts) and note everything down in a ledger. If there is a short, then you have to be ready to confront her with the evidence. Yes, it sounds like gambling, but remember drug use goes hand in hand. You may not be happy with the outcome, but you can’t go financing gambling (or drugs) forever, without getting implicated yourself. Previous articleWill your car get nicked?